Today I was back in another recliner chair, having another general anaesthetic. Today was egg collection day. The first is a movie starring Cameron Diaz, the second is my journey through IVF. 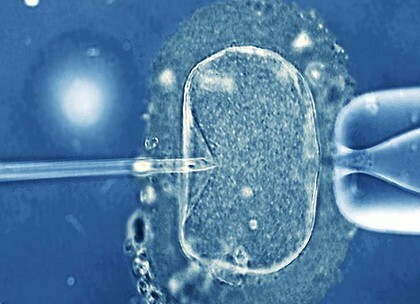 IVF continues to be a very hush hush topic – I understand and respect the reasons for this. As my IVF journey is only for preventative purposes, I feel more relaxed to share and shed some light on the topic. Firstly, I want to take my invisible hat off to every woman who has gone through IVF, to start, or grow their family. It takes a multitude of patience, courage, emotional strength and much more. I’m fortunate that I am only going through this process as a preventative method – I can’t begin to imagine all the other emotions they are faced with when so much more is on the line. When people think about treatment for breast cancer, I guarantee the process of freezing eggs wouldn’t cross their mind – myself included. One of the nastiest side effects of chemo is the fact that it can bring on early menopause, and stop females fertility. So, at thirty-two, childless and a mum-to-be at heart, IVF treatment is another key role in the treatment plan for BC. So what’s involved in producing a good egg harvest/egg collection (yes, that is actual terminology!)? The process can vary slightly for each person, so I can only speak about my own experience. 1 – Sniff: Morning and night I inhale a sniffer. The purpose of the sniffer is to suppress natural ovulation. 2 – Jab: For ten days I will inject myself with FSH (follicle stimulating hormones), this ensures they have control over how many eggs I will produce. We want a good harvest, I only have one chance before chemo starts. 3 – Swollow: Due to the fact that I will be injecting myself with hormones, and my cancer is hormone receptive, I have to take a tablet to counterbalance this. Is your head spinning yet? Mine does everyday when I look at my calendar reminding myself what I need to do. I haven’t started the injections, and to be honest, I am not looking forward to it. The side effects from the sniffer have been bad enough: constant headaches, nausea and tiredness (good prep for chemo I guess…). So if you see me in the next few weeks and I’m a little crazy – blame the hormones. After all of this, I hope that given my Finnish blood, my eggs will be happy in their new frozen environment.